2011. It's the second most performed procedure. The best weapon against wrinkles & crow's feet. They eliminate wrinkles in a matter of minutes. filling in wrinkles & scars and removing frown lines. and restore much of the youth and vitality in your face. the abdomen and help to remove stretch marks. of the body. This is done by removing excess fat. never exhibit the ravages of time, such as drooping. is their growing interest in plastic surgery. In September 2011, ASPS launched a safety & awareness campaign to address the growing number of cases of unqualified physicians performing cosmetic surgeries! There is literally a cosmetic surgery procedure to correct every perceived flaw or to improve every result of the passing years. And it's not just the rich and famous who get nipped, tucked, enhanced, reduced, rejuvenated and reinvigorated. Showing an overall 5 percent increase in cosmetic work in 2011 from 2010 with 13.8 million procedures performed during the year. Of those, 12.2 million were minimally invasive in nature. It's a little known fact that most cosmetic surgeons actually are willing to negotiate their fees. They are, after all, running a business. The surgeries they perform are largely elective. Any client can "elect" to go elsewhere. A "Mommy Makeover" is a collection of permanent plastic surgeries done to help a women's body regain the shape it had before child birth. Given the fact that the average bride is 25.3 years of age, bridalplasty seems an extreme measure. At the same time, it is not surprising that some brides seize on this occasion to make a cosmetic change. After all, no one blinks an eye when a bride says she's losing weight for her big day. Unless you have strong personal recommendations supporting your choice of physician, it's always best to interview several surgeons until you find one that has the right balance of qualifications, technical skill and manner. With the rising demand and the rising cost of plastic surgery, many consumers have turned to cosmetic &amp; plastic surgery abroad to meet their plastic surgery wishes. Women are by far the industry leader for having some form of cosmetic surgery done. The number one procedure more and more woman are having these days is Botox. It is the hottest trend on the market. Most of the charities that arrange plastic surgeries and associated services nationally and abroad follow similar models. They tend to arrange for teams of volunteer physicians carrying medical supplies to complete "missions" into the regions in question. For most parents, this presents a serious dilemma. The first inclination is to simply say, "No." While parents are understandably worried, this is not a request that should be taken lightly and definitely not to be ignored. Our mission is to be a comprehensive resource dedicated to providing up-to-date, authoritative advice and deliver great information in an easy to understand format for anyone interested in plastic or cosmetic surgery. PlasticSurgeryGuide.com - a premier consumer's guide to cosmetic plastic surgery. The detailed profiles and testimonials in our Plastic Surgeon Directory will help guide you through that critical first step in deciding who to trust with your procedure. In our directory you'll find and be able to contact the best local specialists in your area in virtually every plastic or cosmetic surgery procedure, from breast implants and rhinoplasty to liposuction and Botox. In the directory you will only find cosmetic plastic surgeons certified by the American Board of Plastic Surgery - meaning they've undergone intensive training and repeated testing to ensure they uphold the highest medical standards. Want to learn more about the specific procedure you are considering? Schedule a free consultation with a Board Certified Surgeon in your local area. 3,200+ Board Certified Surgeons are waiting to hear from you to give you the opportunity to learn more about the specific procedure you are considering. Most surgeons have financing options available. Take The First Step To A New You - Connect to a Board Certified Surgeon in Your Local Area already Today! Inside you'll find articles on most plastic surgery procedures, all written by industry experts and focused on ensuring that you, as a potential patient, have the information you need to make educated decisions. The articles try to describe everything related to a procedure and how it is performed, please see the most searched for procedures in the "Most Searched For Procedures" box to the left. In addition, for each procedure there are articles providing more specific information connected to each and every procedure. This may include the cost or price of the procedure, before and after pictures, the risks involved and what you need to know about recovery. Check out all of our informative procedure articles on our sitemap. As you can see, to the left we also have many useful articles with consumer information, facts and statistics. Although these are not procedure specific we elaborate on the costs involved and different aspects on the most affordable plastic surgery. Some other articles we recommend everyone to read are; Plastic Surgery Board Certification, the Safety & Awareness Campaign Against Deceptive Practices as well as Cosmetic Surgery and Your Teen - talking about plastic surgery with young adults. 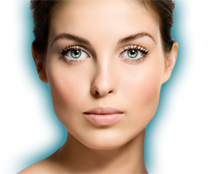 We also provide an image gallery, where you can see before and after pictures on all types of cosmetic procedures. The pictures are provided by Board Certified Plastic and Cosmetic surgeons that can be found in our Cosmetic Surgeon Directory. It's a life changing experience and we're here to help! This site is all about real people, with real stories engaged in real conversations. We want you to get relevant answers to your questions, be able to read about procedures, costs and results, but most importantly be able to share your stories and learn from others! Under all articles on the site you can comment and read what others have to say. You will be able to see what our visitors have on their mind, what they want, think, fear, look forward to and what questions they may have. Join their conversation but also make sure to "like" our Facebook page. PlasticSurgeryGuide - Join The Conversation! real stories & real conversations. Share your stories and learn from others. Yes, I'd like to get a Free Consultation with a Board Certified Professional In My Local Area!